PUTS MEMBERSHIP FIRST AT ARMS LENGTH ? 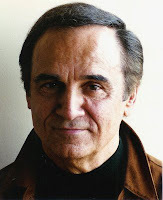 It was a subtle change and shuffling of announcements, but Tony LoBianco, 73, is no longer on Membership First's New York slate of candidates running for a seat in the Big Apple division, but appears to be running as an "independent" candidate. Back in late July, Membership First announced to the press their entire slate of candidates. In New York, running for New York Division seats, Membership First announced Melissa Leo, Tony Lo Bianco, Celia Weston, Mitch Green, Matt Mulhern and Erik-Anders Nilsson. Star names were top-loaded in the announcement. Standard practice. This branch of Membership First, under Anne-Marie Johnson's full endorsement, styled themselves SAGNOW! SAGNOW!, under the leadership of spokesman Anders Nilsson, included LoBianco's name in press materials and on the groups website. As recently as August 24th, in an invitation only fundraiser for Membership First in New York, Tony LoBianco was listed as a "meet and greet" candidate. After complaints that Membership First, in using the name SAGNOW!, was intentionally attempting to confuse New York members with the group AFTRANOW, and SAG's legal department ruling that no SAG political party can appropriate the name "SAG", Membership First quickly changed their New York name to "Solidarity and Gains Now!". Somewhere along the line in all of this confusion and maneuvering, revealing great ineptness in organizing and creating their own moniker, the press materials once listing Tony LoBianco as a "Solidarity and Gains NOW" candidate changed to an "Independent" candidate, with the New York Membership First group simply "endorsing" LoBianco. At press time, there has been no statement by LoBianco as to his campaign platform, his views on SAG or the New York Division, or why he is now running as an independent, save for a brief quote on the Solidarity and Gains groups website. Membership First has long belittled the New York Division, with Hollywood Board candidate and Former SAG President Ed Asner recently referring to New York and its members as "the pygmies of the entertainment world." Is this why Tony LoBianco put distance between himself and Membership First? Time will tell.